Over the past few years, 3-D printing has gone from a figment of imagination to a full-blown reality. The first concepts consisted of printing small and trivial items, but its technology has since then been scaled up. Instead of printing basic items such as cups and bowls, science and technology are moving us towards large-scale, incredible items. 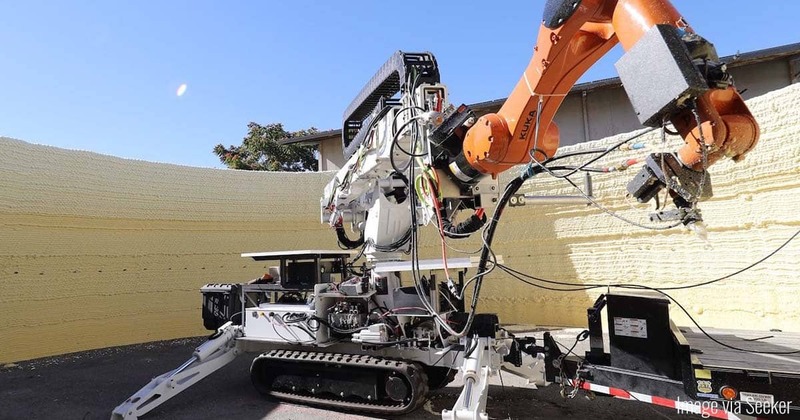 Taking advantage of this tech niche are a team of engineers at MIT, who have successfully created a full-functioning, 3-D printing machine with the technology of construction robotics. Engineers can simply place the robot in any open location, and program it to start building. The robot is basically autonomous, and doesn't need human intervention during its construction. 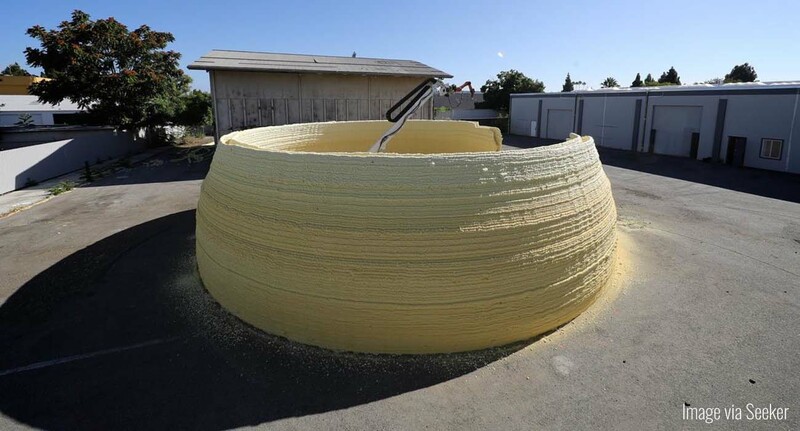 After a few hours, large-scale and impressive buildings are printed out, all without human labor. The field of robotics is expanding at an exceptionally rapid rate. As more and more tasks are being completed by robots, the arena of artificial intelligence is expanding. And with the more sustainable building option of construction robotics, its appeal is gaining traction for commercial and scientific use. The research team at MIT successfully engineered the construction robot that they have labelled the Digital Construction Platform, or DCP for short. 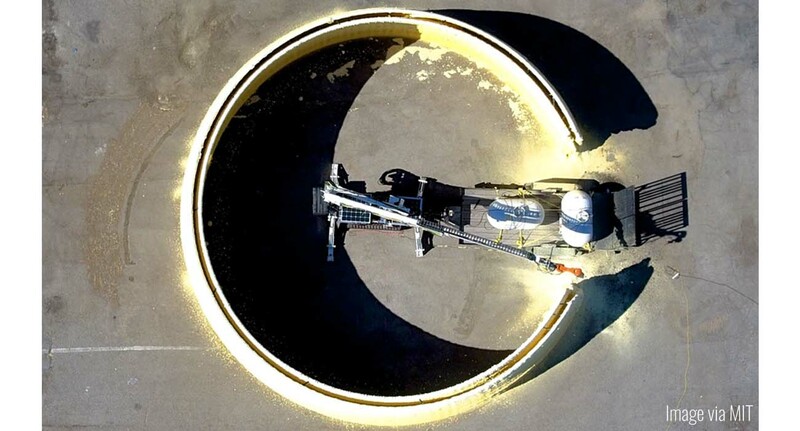 This robot combines construction robotics with the use of 3-D printing, resulting in a quick and convenient way to build structures within a matter of hours. In fact, the DCP is currently able to construct a 5o-foot-wide, 12-foot-high structure in less than 14 hours. The DCP is able to complete structures like this one in just a matter of hours, autonomously. According to MIT engineers, the DCP isn't a prototype either. Theoretically, it could be used in construction sites immediately to fulfill basic infrastructure tasks. Using the robot's pre-programmed designs, construction teams could get foundations laid quickly, sans human workers. No need for breaks, or supervision. The DCP itself is a heavy-duty piece of machinery, complete with an industrial-strength robotic arm. Similar to the mechanics of a bulldozer or a backhoe, the DCP combines the precision of human engineering with the strength and power of machinery. The result is speedy, accurately and seamlessly-built infrastructure, thanks to construction robotics. On the industrial-strength robotic arms is a nozzle that allows for more detailed work. The nozzle is able to accurately pour concrete and spray insulation foam based on its programmed commands. Each DCP is also equipped with an attachment that scoops up dirt and debris to prep the area for building. Plus, the DCP is able to work with many different building materials with various densities. With some basic programming, the DCP can even be ordered to switch materials during the project, without human intervention. The DCP can be pre-programmed to clear the area for construction before building. As of right now, the MIT engineers report that their DCP trials are major successes. Their proof-of-concept experiment shows that their construction robotics work seamlessly to complete basic building tasks. In an article published last year, you can see the trial photos that show the successful completion of the foam-insulation framework of a 50-foot structure. The DCP has the potential to make construction projects faster and more efficient, without the need for human intervention. But the possibilities don't stop there; Construction robotics may be the answer to some of our more pressing infrastructure questions. Take outer space for example. It's difficult to successfully build structures in outer space, because most people aren't well-equipped to work in outer space conditions. But with the technology behind construction robotics, machines such as the DCP could ultimately autonomously build for years at a time. They also have the potential to repair and maintenance existing space structures, such as satellites. Outer space is arguably the most extreme of circumstances for the DCP, so its success would open the doors to many other exploratory possibilities. The DCP is already extremely efficient on its own, so making it able to work underwater is just a matter of water-proofing the material. We are experiencing a terrible decline in the health of our coral reefs, with 1/4 of the reefs too damaged for repair. But, an underwater DCP could actually print out new, synthetic coral reef structures made from materials found on the ocean floor. 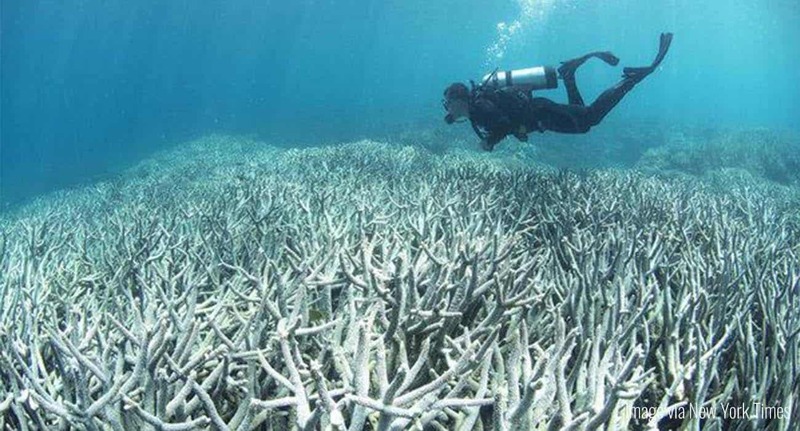 Currently, 1/4 of the world's coral reefs are damaged beyond repair. Additionally, the DCP can be used to build shelter in war-torn areas, or in the aftermath of a natural disaster. Temporary shelters can be built by simply sending out numerous DCPs that are pre-programmed to create human shelter. Putting disaster aside, a startling 1.6 billion people worldwide are living in what is considered "inadequate shelter." To solve this, the DCPs could provide an inexpensive and timely housing solution through their autonomous construction robotics. As the technology behind construction robotics and artificial intelligence is growing, so are the possibilities. The ease, speed, and autonomous nature of the DCP creates solutions to some of the world's most pressing concerns. Whether it's a natural disaster, war, or a time crunch, DCP may be the answer. The implementation of autonomous machines is the way of the future, and the benefits are going to change everything.